On Thursday, November 9th, The Pro Gallery at the University of The Bahamas will introduce emerging Bahamian creative Allan Jones and his photographic series ‘A Gull’s Eye View’, curated by Keisha Oliver. 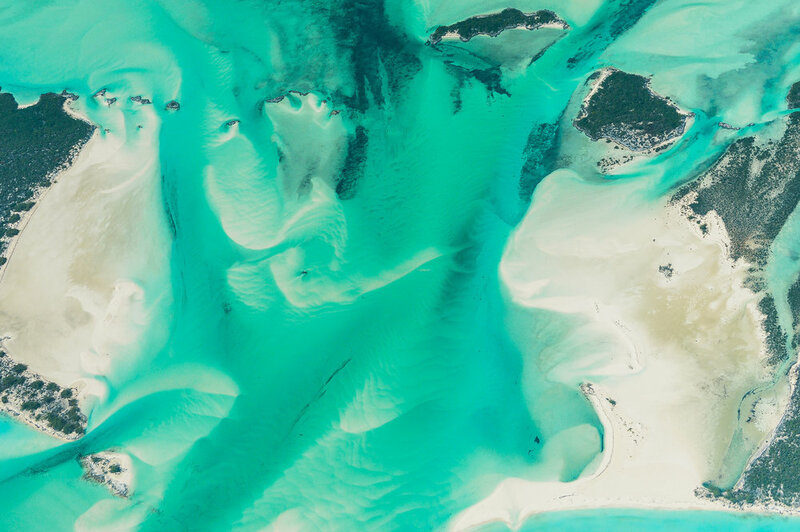 His collection of aerial photographs survey the vast beauty and complexity of archipelagic shapes and forms spanning the islands of The Bahamas. Appreciating the abstract of a place he calls home Jones offers a unique perspective to the geography and history of this tropical paradise. The public is invited to the opening evening that will be held from 6:00pm. For more information contact The Pro Gallery on progallery@ub.edu.bs or 302-4422. Allan Jones (b. Freeport, Bahamas 1990) is a self-taught photographer and creative. He discovered a creative outlet in his love for art and science when he bought his first camera in 2011. Since then Jones has worked primarily in digital photography with interests in portraiture, fashion, and journalistic imagery. His early work is very personal as he is seen documenting familiar people and environments, his family and friends in Grand Bahama. Jones has established an urban style and candid approach to the medium with a commercial portfolio that captures brands and initiatives lead by other young creatives. His fine art collection continues to explore narratives of identity and the environment. Keisha Oliver is a graphic designer, visual artist and independent curator. Her interdisciplinary practice explores themes of identity, social heritage and cultural fragmentation within the Caribbean. She is an Assistant Professor in Visual Arts at the University of The Bahamas with research interests in visual literacy for critical thinking, Bahamian art history and contemporary practices within Afro-Caribbean art. She has six years experience in her curatorial practice which focuses on supporting emerging Bahamian creatives. She also contributes as an arts writer and photographer with several publications and creative organisations in the region.